Lavender Essential Oil is an eminent and versatile oil that can be used on almost any part of the body for almost any ailment. It can be used in numerous body care products ranging from skin and hair care to emotional care through aromatherapy. Though the positive effects of Lavender Oil are unseen in aromatherapy, they remain powerful and have beneficial impacts on interconnected body systems. Lavender Oil is famed for its ability to treat aches and pains regardless of whether they are experienced emotionally or physically. This article highlights a small element of possibilities that can be achieved with the advantages of Lavender Essential Oil. When diffused, Lavender Essential Oil can relieve headaches and nausea, and it can promote easier breathing by working as a decongestant. It can deodorize stale air, fabrics, and body odors. In a massage, Lavender Essential Oil effectively soothes many types of pain, both mental and physical. It boosts circulation, lowers blood pressure, and strengthens muscles. In a bath, Lavender Essential Oil can soothe inflammation, cold symptoms, and stimulate the body’s immune function through its anti-microbial properties. In cosmetics, Lavender Essential Oil stimulates cell regeneration, detoxifies pores, and relieves itchiness associated with dry skin. When diffused, Lavender Essential Oil’s soothing fragrance can relieve headaches and nausea and it can promote easier breathing by working as a decongestant. It can deodorize a room, linens, or the body. Its calming, sedative quality is known to promote rest and relaxation, helping it to treat anxiety, depression, and insomnia. Although diffusing is now commonly associated with electric diffusers, homemade natural sprays and reed diffusers can also be used. These oils can be used in a spray bottle, an electric diffuser, or in a reed diffuser; however, the water-to-oil ratios will vary, depending on the method of diffusion and the water capacity of the electric diffuser. Follow the instructions below is using a spray bottle. Put oils into a small spray bottle and fill with 60 ml / 2 oz. distilled water. Shake the bottle to thoroughly combine the blend. Spray over the bed or onto pillows just before bedtime. Add the essential oil blends to an electric diffuser. Lavender Essential Oil can relieve various types of pain such as pain associated with improper digestion, wounds, bloating, muscle aches, joint pains, backaches, and sprains. Diluting it with a carrier oil and using it in a massage can stimulate the intestinal movement that prompts the gastric fluids required for proper digestion. This can help relieve stomach pain, flatulence, vomiting, and diarrhea. Inhaling the aroma of a massage oil that is infused with the soothing scent of Lavender Essential Oil will also ease the emotional pain associated with stress and depression, allowing the user to also relax mentally. Carrier Oil (Sweet Almond, Avocado, or Grape Seed suggested) 7 t.
Mix the essential oils inside a dark glass or PET plastic bottle. Dilute the blend by adding the carrier oil. Mix the essential oils in a dark glass or PET plastic bottle. Massage gently onto the body for pain relief. When used in a bath, Lavender Essential Oil stimulates the body’s immune function through its anti-microbial properties, which can combat the harmful effects of contaminants on the skin by inhibiting bacterial growth and reproduction. Inhaling the fragrance of bath water scented with Lavender Oil, which shows anti-inflammatory activity, can relieve inflammation that causes not only a sore body but also sinus pressure and headaches. Its decongestant and expectorant properties make Lavender Essential Oil beneficial for reducing or relieving respiratory issues such as coughs, colds, and the flu. It does this by loosening phlegm and mucus in the nose and throat to facilitate their elimination. Its anti-bacterial activity fights respiratory infections and inflammation from ailments such as bronchitis, laryngitis, and tonsillitis. Adding Epsom salts to a bath boosts circulation, and relieves a tired and aching body of pain, joint inflammation, and abdominal cramps. Soaking in a salt bath with Lavender relieves tension in the body as well as tension headaches. Sore feet can also find relief from bathing in this therapeutic and stimulating combination that additionally helps detoxify the body and improve digestion. Mix all ingredients thoroughly in a dark glass or PET plastic bottle. Place Lavender buds in the center of cloth/toe of the stocking. Add the essential oil to the buds one drop at a time. Gather all the material to create a loose pouch and tie together with the string/yarn. Run the bath water and pour the salt and baking soda directly under the running water to ensure they dissolve. Used in a moisturizing cosmetic product such as a cream, lotion, or even in a facial steam, Lavender Essential Oil detoxifies, unclogs, tones, and brightens the skin, relieves itching, and can help treat acne due to its anti-inflammatory and anti-bacterial properties. In facial steams, the steam facilitates decongestion of the nasal passages caused by allergies, colds, or flu symptoms. The soothing and stimulating aroma not only reduces anxiety, fatigue, and stress but also leaves a cool, clean scent in the home. By adding moisture to the skin, the cicatrizant properties of Lavender Essential Oil facilitate the soothing of skin that is in need of healing due to dryness, burns, cuts, scrapes, or other damage. Lavender Essential Oil also fights the look of aging by smoothing the look of wrinkles and boosting circulation, which nourishes and oxygenates the skin to keep it looking healthy and rejuvenated. Lean over the bowl with your face 10-12 inches away from the water, close your eyes, breathe deeply, and relax. Lavender Essential Oil is known to effectively condition hair and control hair loss. This is due in part to its anti-depressant and sedative properties, which are beneficial for alleviating the stress, anxiety, depression, and insomnia with which hair loss is commonly associated. By diluting Lavender Essential Oil in a natural shampoo and regularly massaging it into the scalp, the increased blood circulation will enhance hair growth, condition the hair, treat dandruff and lice, and strengthen hair while improving a negative mindset. Mix all ingredients thoroughly in a clean, dark container. Use a small dab to lather hair, then rinse. Follow up with a conditioner or rinse. Sometimes a little extra help is needed to keep hair beautiful, especially during harsh weather and times of stress. The following are some ideas to inspire self-pampering. Heavier oils can be cut with a bit of Glycerine if preferred. Gently heat 4 T. of the chosen Carrier Oil. Remove from heat and add 30 drops of the chosen Essential Oil(s). Massage sparingly into dry hair, focusing especially on the ends. Massage into scalp, if it is very dry. Wrap hair with plastic wrap, then wrap over this with a towel. Leave in for at least 1 hour. Shampoo well, repeating if necessary, then condition as usual. If there is enough oil left for another treatment, store in a clean container and refrigerate. Chamomile Essential Oil: This oil can improve negative moods, which are commonly associated with sleeplessness. It’s soothing, sedative property promotes the relaxation required for a restful sleep state. Neroli Essential Oil: Inhaling the alluring, relaxing, uplifting scent of this oil can reduce blood pressure, stress, and feelings of grief. It is known to effectively sedate body and mind to promote the onset of sleep. Vetiver Essential Oil: The aroma of this warming, balancing oil has a grounding and sedative effect on the mind. This decreases obsessive, paranoid, phobic, and anger-induced tendencies. Vetiver is known for its ability to stimulate blood circulation and to alleviate aches, pains, and general physical exhaustion. By doing this, it reduces stress and pressure in body and mind. Sweet Orange Essential Oil: This essential oil is known to prevent fungal infections and to inhibit the growth of further bacterial growth, which is useful for disinfecting wounds. Bergamot Essential Oil: This energizing oil is known to boost blood circulation and to reduce nervous tension, stress, and anxiety, which in turn replaces negative mental states with feelings of joy, refreshment, and vigor. The relief of heavy emotional stressors such as sadness may lead to reduced blood pressure, increased relaxation, and better regulation of the sleep hormones serotonin and dopamine, which may lead to better sleep. Patchouli Essential Oil: Patchouli is a sedative oil that is known to relieve tension and uplift negative moods by stimulating the hormones responsible for experiencing pleasure. By relaxing the mind and body, it reduces symptoms of insomnia and promotes restful sleep, which results in improved metabolism and cognition. Ylang ylang Essential Oil: This oil is thought to have a euphoric effect on the mood, which helps reduce nervous conditions such as anxiety, tension, and palpitations. It is known to reduce high blood pressure and, being beneficial for regulating rapid heartbeats and breathing, it reduces other negative emotions such as anger and frustration. Sweet Almond Carrier Oil: This carrier oil provides an intense hydration suitable for all skin types. This skin-softening lubricant is almost odorless and is packed with vitamins, minerals, proteins, and essential fatty acids. Skin will look and feel nourished and revitalized. Grapeseed Carrier Oil: This is a light, fast-absorbing oil that promotes the speedy healing of wounds and minimizes the look of scarring. It is odorless and is not known to stain sheets. Skin, being the largest organ, excretes the most toxins from the body thus boosting blood circulation. Mandarin Essential Oil: This sedative oil relaxes the nerves and promotes feelings of calm, eliminating stress. Lemongrass Essential Oil: This calming oil is commonly used to relieve anxiety, irritability, and sleeplessness, improving the length and quality of sleep. 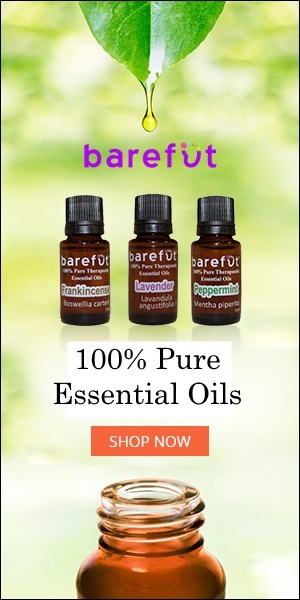 Carrier Oil of your choice: Carrier oils help to dilute essential oils before topical application, as their potency can be harmful when used in high concentrations without dilution. Carrier oils also help essential oils remain on the skin longer without quickly evaporating. Rosemary Essential Oil: This analgesic and anti-inflammatory oil stimulate blood circulation, which is vital to managing pain and which makes it a popular remedy for arthritis, muscle and joint pains, and headaches. It promotes faster healing for wounds by facilitating the process of coagulation. Frankincense Essential Oil: This oil has a grounding scent and promotes easy breathing. It induces feelings of tranquility, contentment, and relief from the physical and mental efforts of the day, thus proving to have properties that combat depression and anxiety, which are common factors in sleeplessness. It is known to reduce heart rate and blood pressure and to allow the body to reach an ideal body temperature that is conducive to sleep. Marjoram Essential Oil: This oil relieves pain and spasms associated with ailments such as cramps and pulled muscles. Its antiseptic property protects against viruses and fights against bacteria that make wounds septic, thus promoting faster healing. By stimulating circulation, it warms the body, helps reduce mucus and coughing, and relieves arthritis. Cedarwood Essential Oil: This antiseptic oil helps the body combat harmful bacteria, and its expectorant properties can clear the respiratory tract by loosening the phlegm that causes congestion. Steaming Water: Applying steam to the face increases circulation and perspiration, which cleanses the pores of dirt and removes dead skin cells. It plumps and firms skin cells to make the face look fresh and youthful. Geranium Oil: The sweet, floral scent of this uplifting oil offers relaxation to body and mind. It is known to improve mental function and to boost the moods of those who suffer from anger, anxiety, and depression. Sandalwood Essential Oil: This oil is known to clean and clear the scalp of dandruff while soothing the senses with its sedative fragrance. It stimulates hair growth and strengthens hair while adding moisture and enhancing its natural shine.